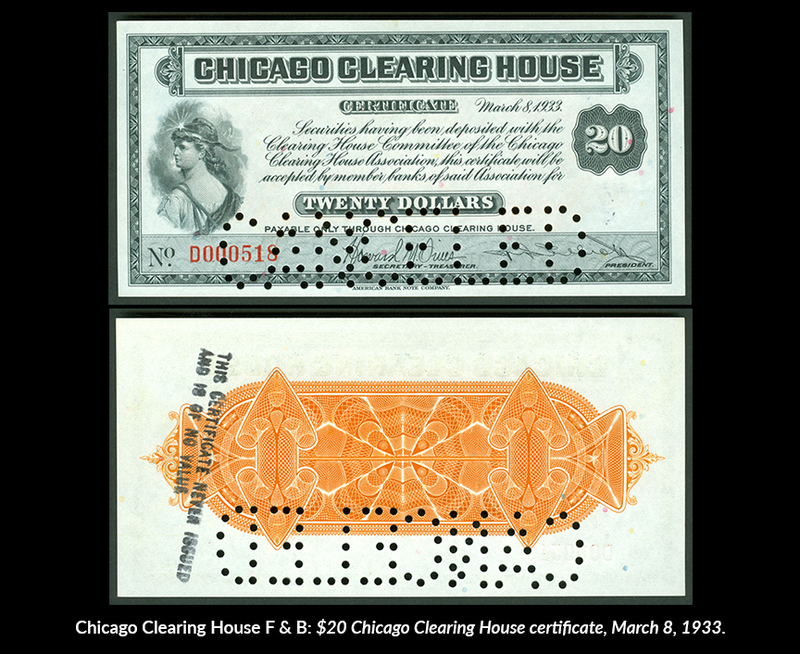 Chicago is featured prominently in a display at the Edward C. Rochette Money Museum’s “History of Money” exhibit exploring United States Great Depression-era scrip and President Franklin Roosevelt’s “Bank Holiday” of 1933. 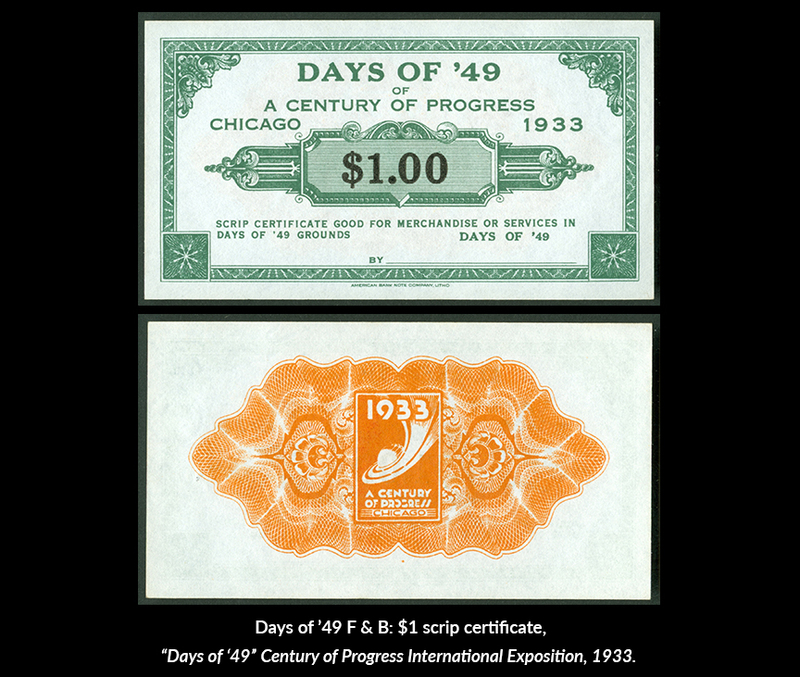 The display includes several items produced in Chicago as the city struggled to pull out of economic disaster while hosting its second World’s Fair. Between 1930 and 1932, more than 5,000 banks in the United States closed as the Great Depression worsened and people withdrew their savings. Franklin Roosevelt was elected President in November 1932 and a key element of his economic reform program was a “Bank Holiday,” which he announced at 1 a.m. on March 6, 1933 – just 36 hours after he took office. His declaration suspended all banking transactions across the nation, allowing the federal government to ensure there was enough currency available for those banks that were in good financial condition (which would quickly reopen), and to reorganize or permanently close banks that were not. The Bank Holiday proved effective in building confidence in the U.S. banking system. The Emergency Banking Act was enforced on March 9, with the twelve Federal Reserve Banks reopening on March 13. On March 15 banks deemed solid by the government reopened accounting for 90 percent of the nation’s banking resources and deposits were exceeding withdrawals. The Bank Holiday and the Great Depression resulted in a mass issue of merchant and municipal scrip, especially in rural areas where banks were closed for a longer period. The materials used included fish skin, clam shells, cardboard, plywood and even rubber. It was put into circulation by state governments, school districts, merchants, chambers of commerce, cooperatives and individuals. 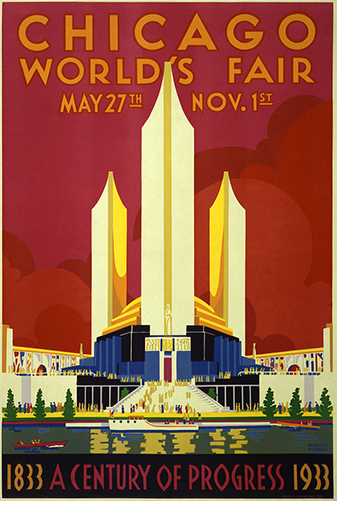 At the height of the depression, Chicago hosted the 1933 Century of Progress International Exhibition, a world’s fair celebrating the city’s centennial. 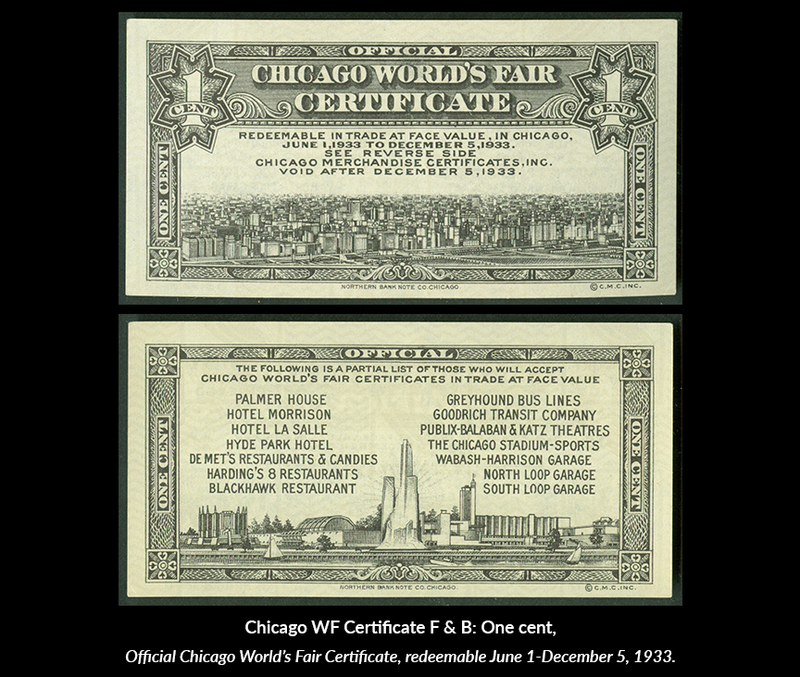 The museum showcases scrip created for this event, including a marketing idea in the form of an Official Chicago World’s Fair Certificate. 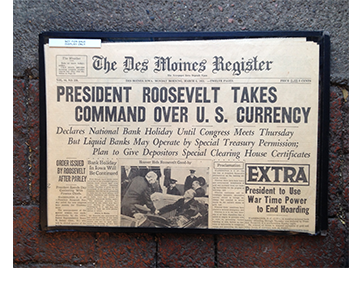 The certificate is good from June 1 through December 5, 1933 for one cent; they were also produced in 5 and 25 cents. They were distributed by merchants as a premium with sales for use at the exhibition and for hotels, entertainment and transportation throughout the city. Also on display is a scrip certificate good for $1.00 at the exposition’s “Days of ‘49” display chronicling the California Gold Rush. 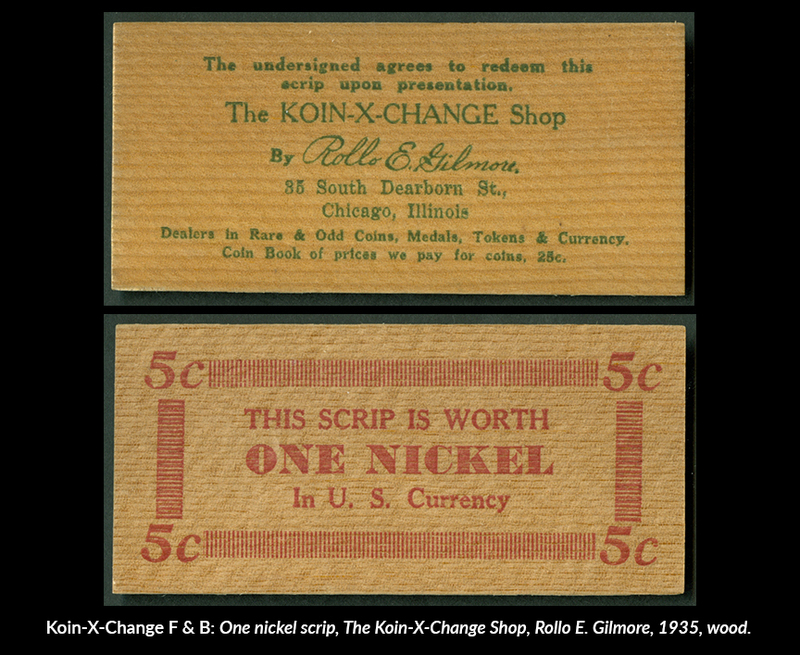 Numismatists released a great deal of Depression-era scrip, including Chicago dealer and Chicago Coin Club member Rollo E. Gilmore, owner of the Koin-X-Change shop on South Dearborn Street. The museum’s scrip piece is good for one nickel of U.S. currency and is made of wood. The ANA held its 1933 annual convention in Chicago at the Congress Hotel, and Mr. Rollo conducted an auction in conjunction with the show. 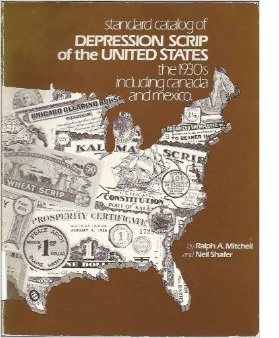 Standard Catalog of Depression Scrip of the United States; the 1930s Including Canada and Mexico by Ralph A. Mitchell and Neil Shafer. 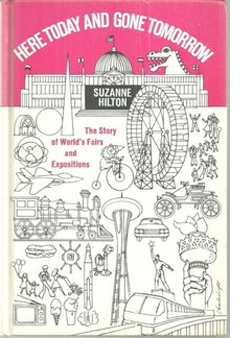 Here Today and Gone Tomorrow, the Story of World's Fairs and Expositions by Suzanne Hilton. Click here to borrow these books from the ANA Library! Thanks for a great history lesson. That is really neat about the scrip and thanks for the photos. There lucky they can keep the one in Washington working right! Since I am from Chicago, I really enjoyed this blog. Did they ever consider putting a Mint in the Windy City?